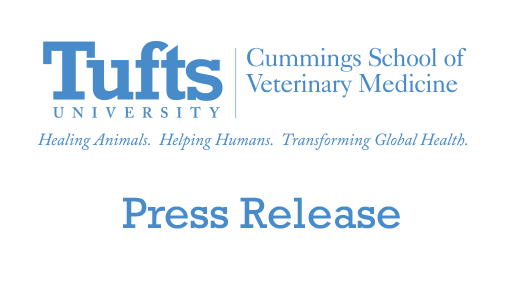 The Cummings School of Veterinary Medicine at Tufts University today announced a collaboration with Worcester Technical High School (WTHS) that will bring a low-cost primary care clinic to pets from underserved areas throughout the Greater Worcester Area. Located on the high school’s campus on Skyline Drive in Worcester, the clinic will pair fourth-year veterinary students in the Cummings School’s Doctor of Veterinary Medicine program with students in the veterinary assistant program at WTHS—believed to be the first time a veterinary school has chosen a high school clinic venue to facilitate an educational and outreach partnership. 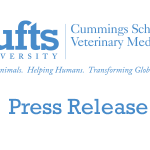 This collaboration represents a different way of looking at service to the community, care for needy animals, and educating compassionate, knowledgeable veterinary professionals, said Deborah T. Kochevar, DVM, PhD, dean of the Cummings School of Veterinary Medicine. Animals and their owners, and students from both schools, win with this model. By pairing veterinary assistant students alongside professional DVM students, we will be able to do more than just treat the critically underserved pets among the neediest communities in the area, added WTHS Principal Sheila Harrity. We will demonstrate to our students the career possibilities beyond high school while giving them hands-on education. Dr. Rozanski, who serves on the advisory board for WTHS‘ veterinary assistant program, identified the high school as a logical fit for a low-cost clinic, and the idea was embraced by Technical Director Peter Crafts and Edwin B. (Ted) Coghlin, chair of the board of advisors at the technical high school. The students at WTHS have access to the very best—a state-of-the-art school at which to learn, the best faculty available, and now access to the brightest veterinary students, said Coghlin. By capitalizing on these resources, they will become leaders in the industry in the future, and serve their community while doing so.